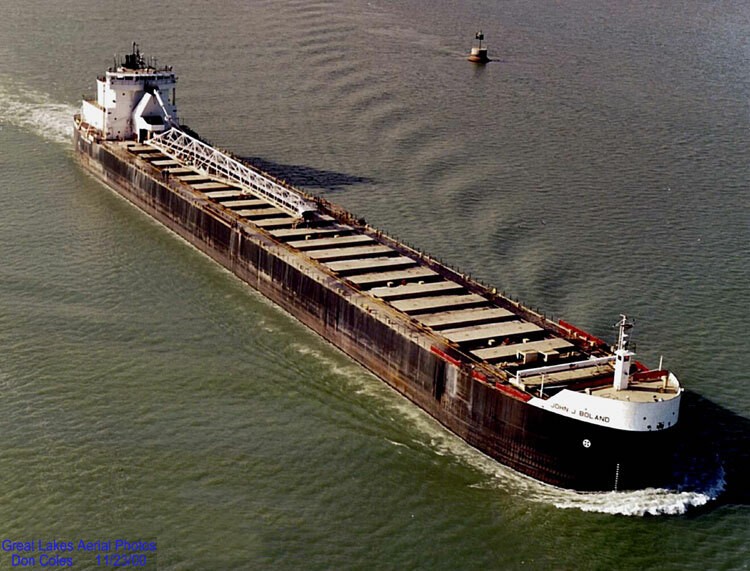 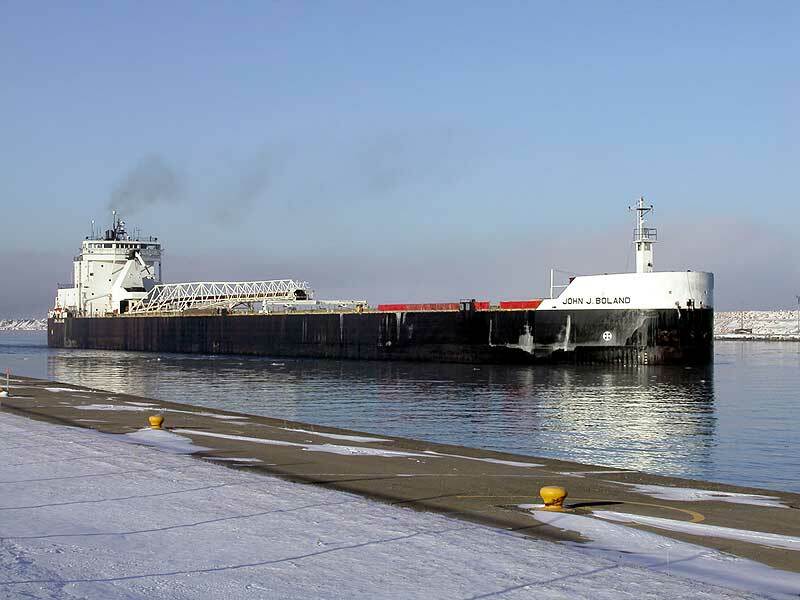 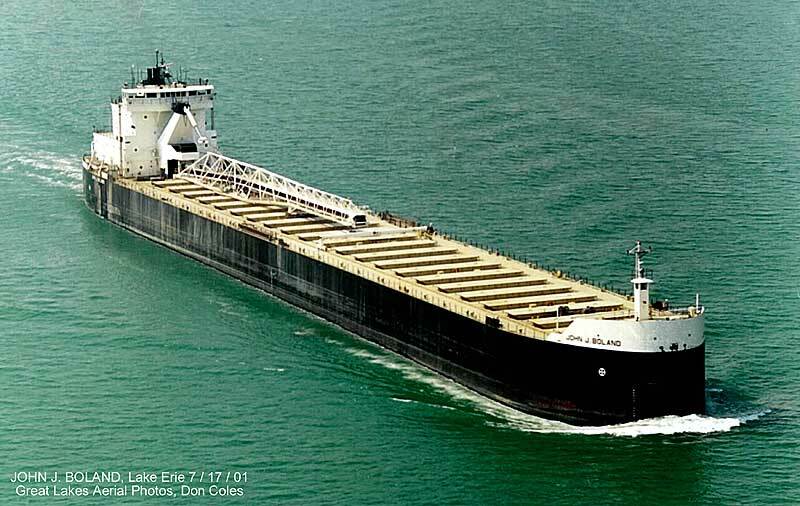 This self-unloading lake bulk carrier was built by the Bay Shipbuilding Co., Sturgeon Bay, WI and launched March 10, 1973 for the American Steamship Co, Buffalo, NY. 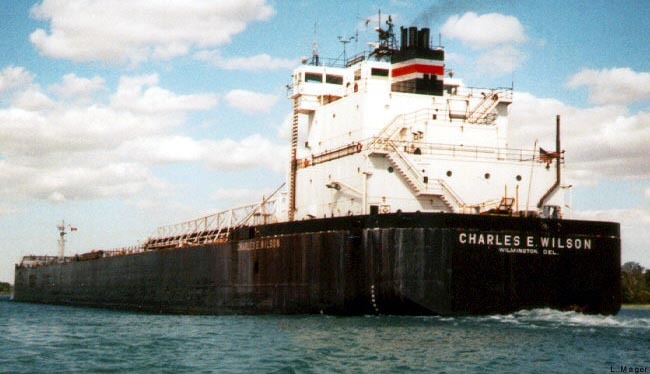 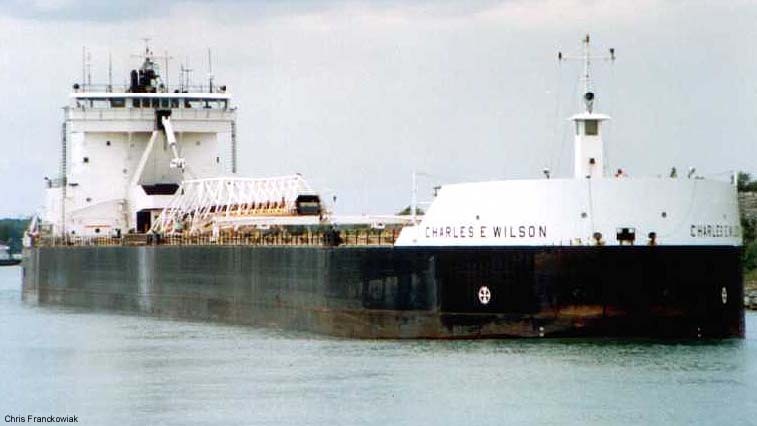 as the Charles E. Wilson. 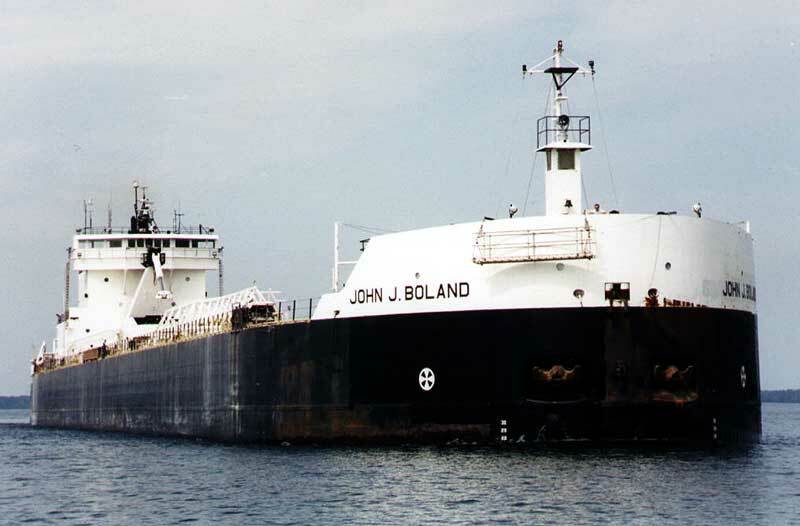 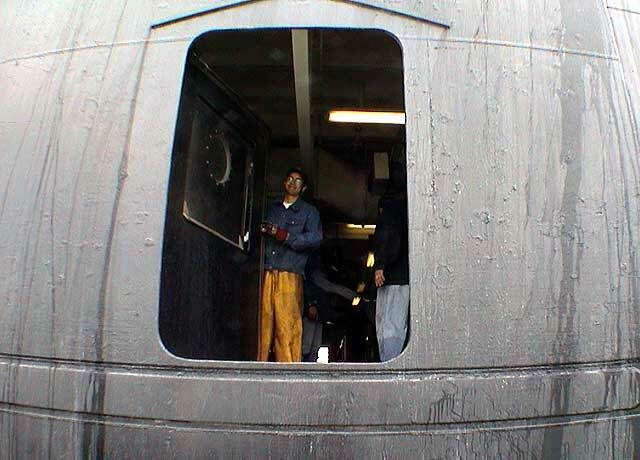 In January 2000 the Wilson was renamed John J. Boland. 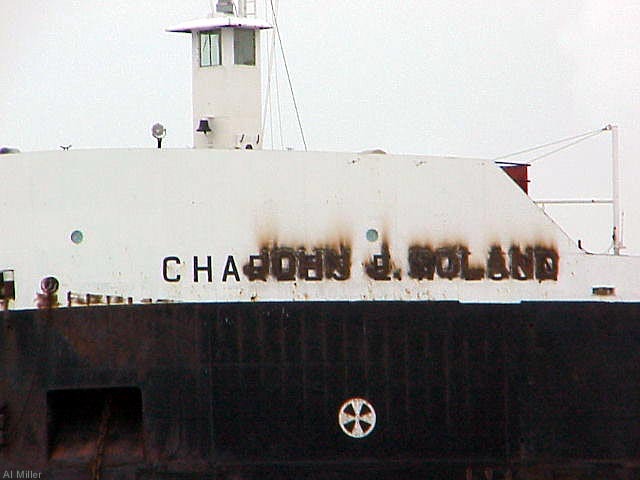 That year while at Fraser Shipyards in Superior for lay-up crews welded the new name on the vessel. 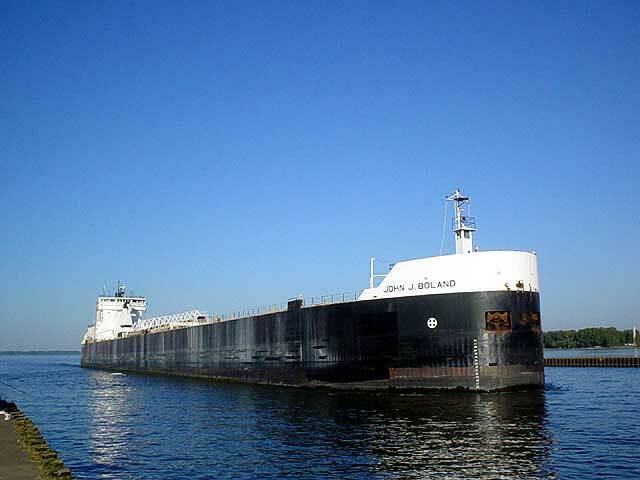 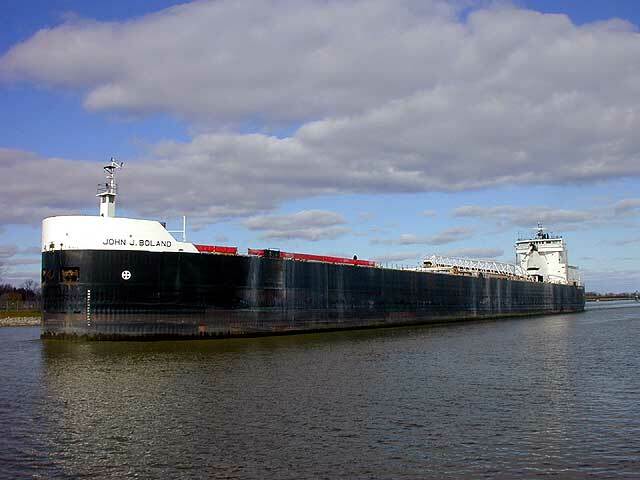 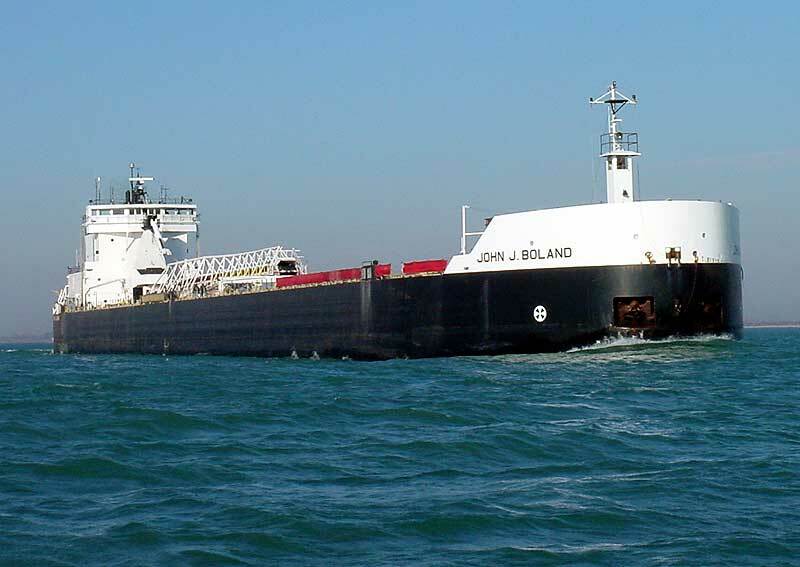 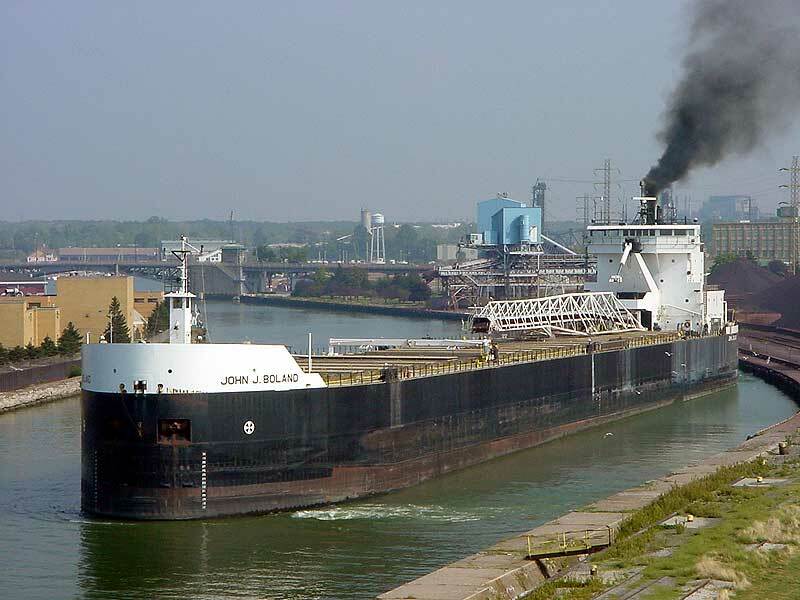 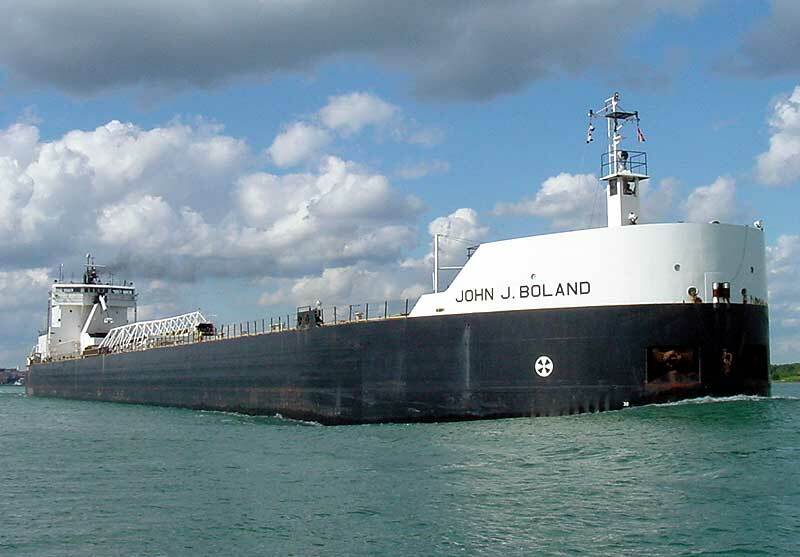 The name change followed the sale of the former John J. Boland to Lower Lakes Towing, Port Dover, ON; now sailing as the Saginaw. 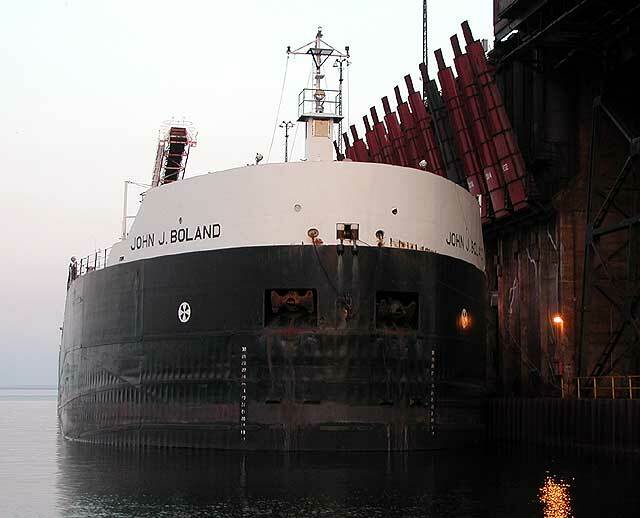 The Boland is powered by twin 3,600 horsepower GM diesel engines giving her a rated service speed of 13 knots. 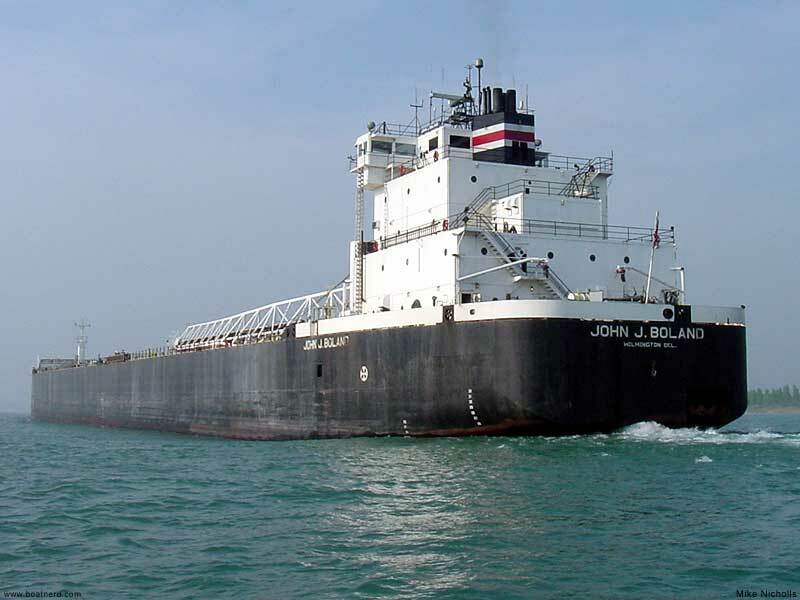 She is equipped with both bow and stern thrusters. 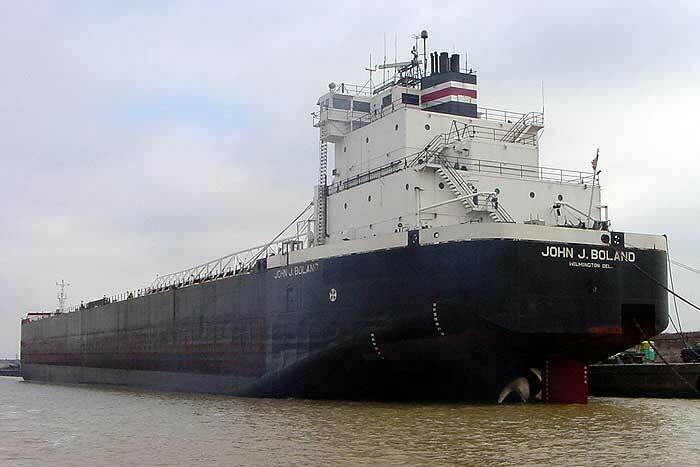 Her 22 hatches feed into 6 holds where she is capable of carrying 33,800 tons at her maximum mid-summer draft of 30 feet 7 inches. 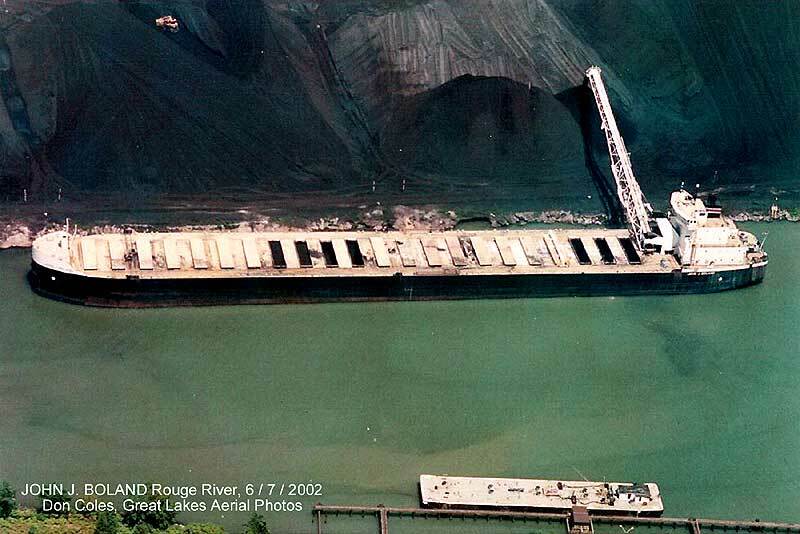 The stern-mounted self-unloading conveyor system feeds a 250 foot boom that can be swung left or right a maximum of 105 degrees. 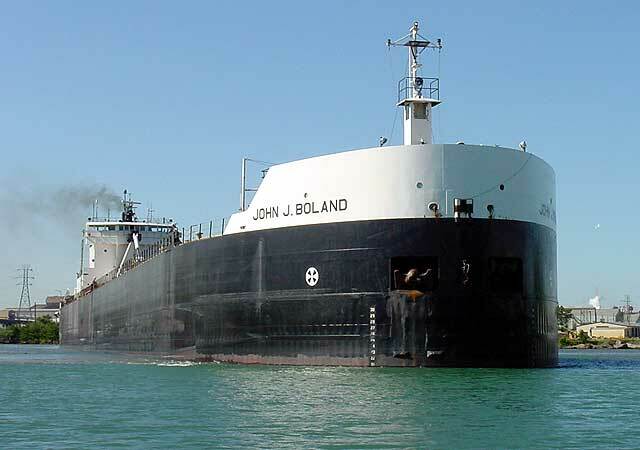 The Boland was the first of ten vessels launched (though the second to enter service) for the American Steamship Co. under Title XI of the Merchant Marine Act of 1970 at a cost of $13.7 million. 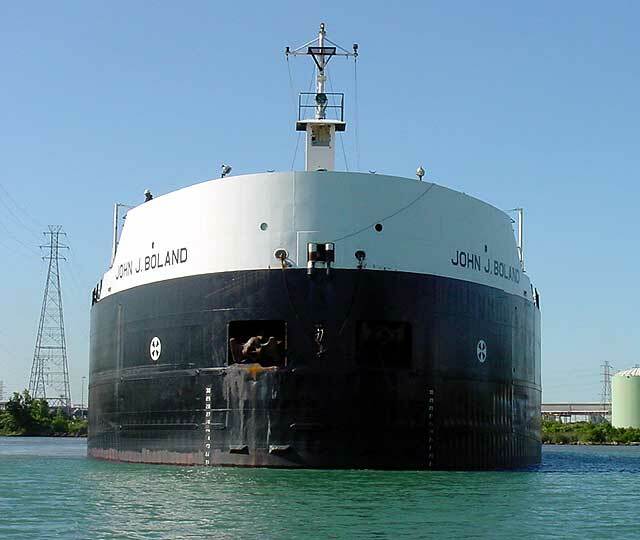 Under this Act, U.S. shipping companies could build or modernize their fleets by receiving guaranteed government financing and tax deferred benefits. 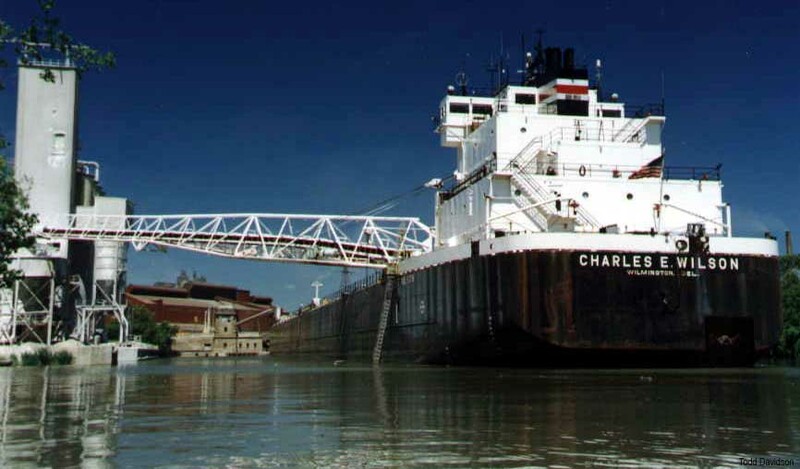 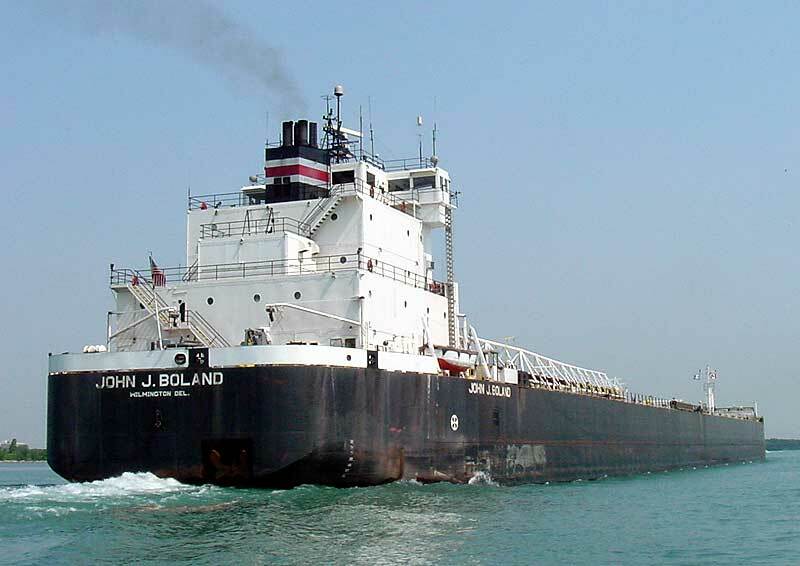 The other vessels included in this program were the Roger M. Kyes (now Adam E. Cornelius 4), H. Lee White (2), Sam Laud, St. Clair (2), Belle River (now Walter J. McCarthy Jr.), Buffalo, Indiana Harbor, American Mariner, and American Republic. 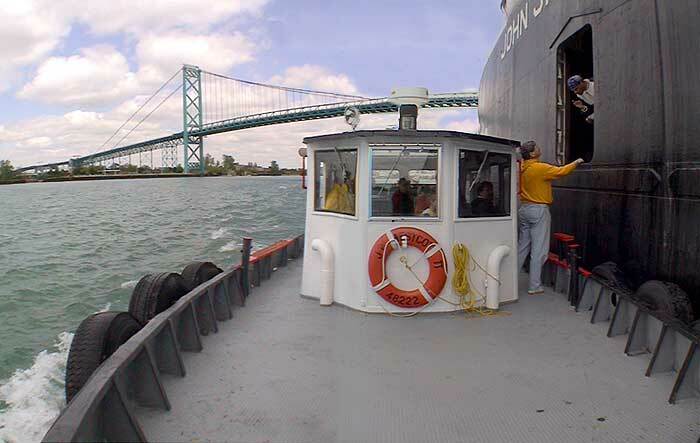 During the winter of 1997/98, a new Sperry adaptive digital gyroscope steering control system was installed on the Boland. 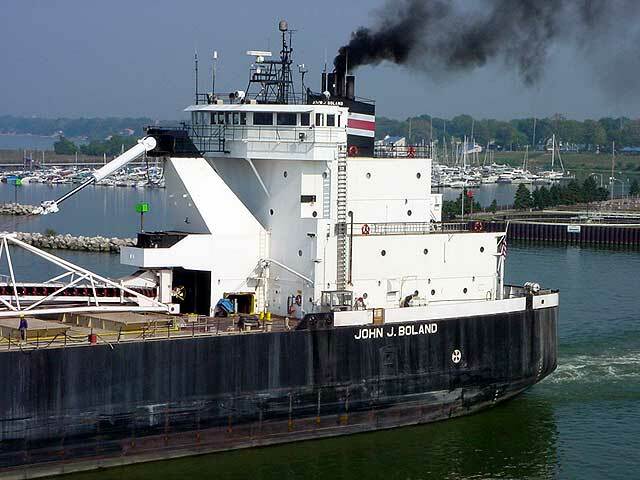 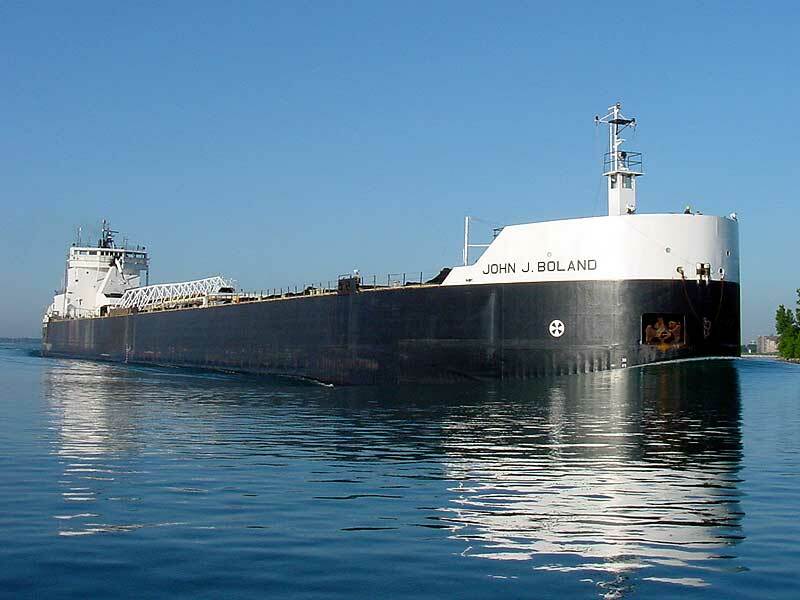 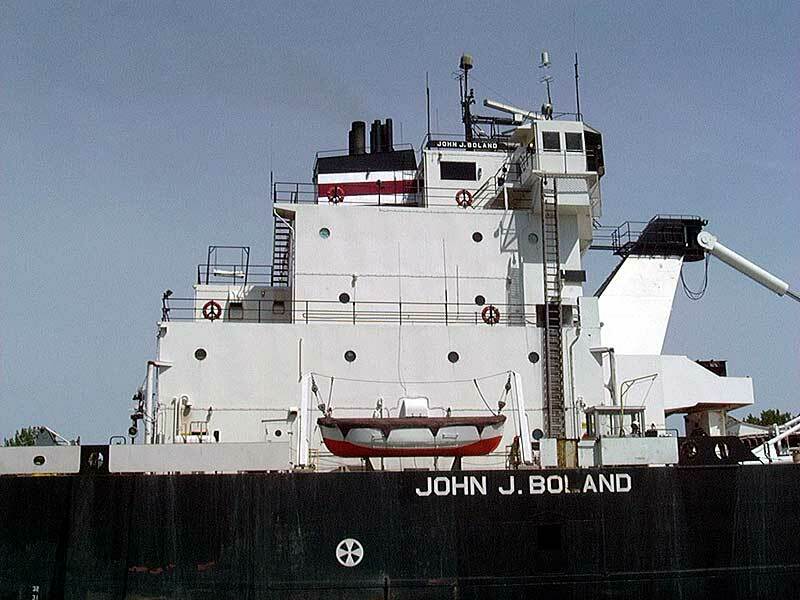 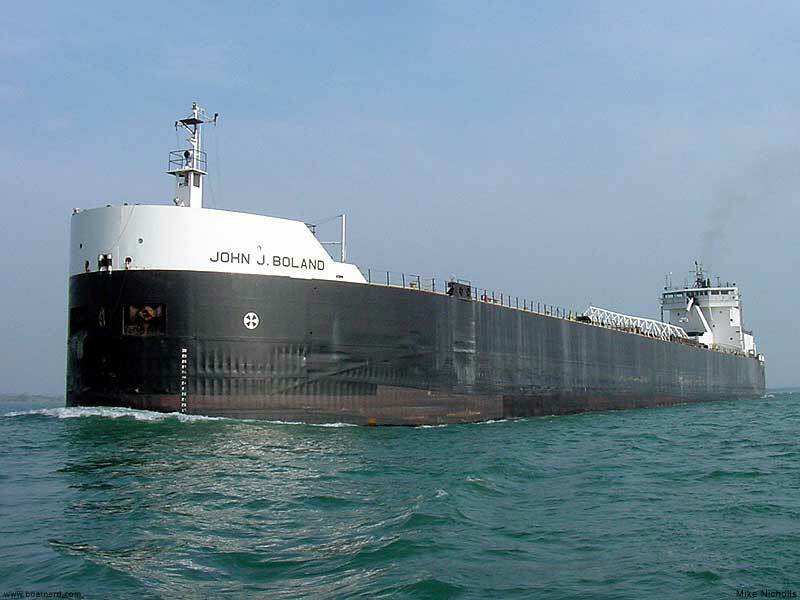 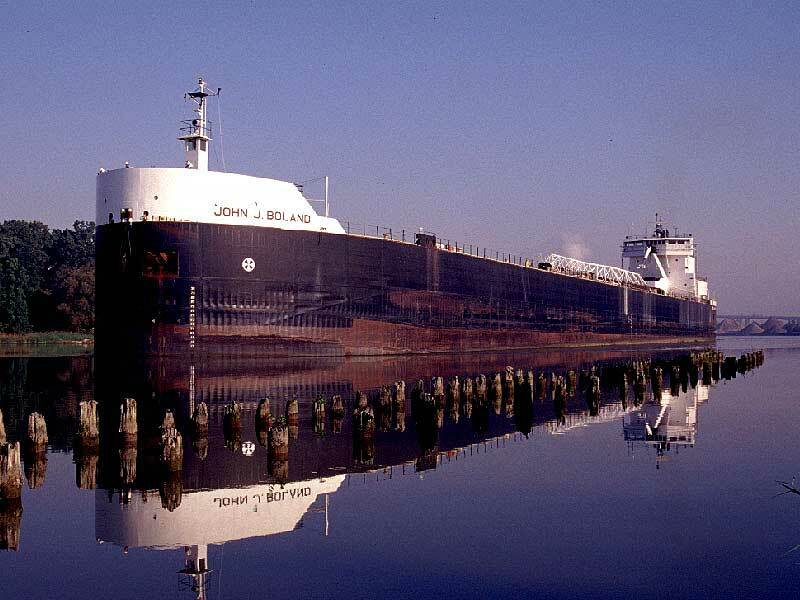 A vessel with very few mishaps, the John J. Boland remains a very active carrier for the American Steamship Co.